Got a big DIY project you’ve been planning? 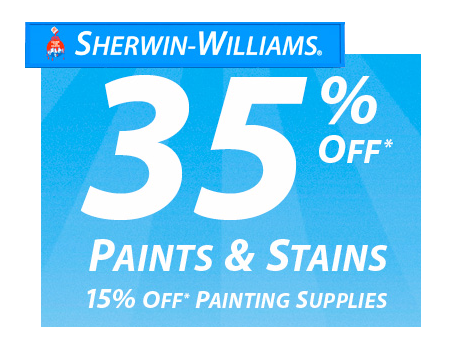 Head to your nearest Sherwin-Williams store and take advantage of this weekend’s sale. A ton of paints and stains will be marked down by 35% and painting supplies will be 15% off! 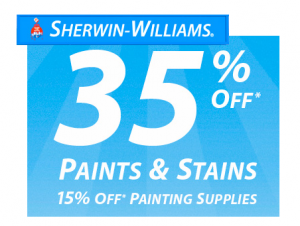 Before you go, print out this Sherwin-Williams coupon for $10 off a $50 purchase. That will save you another 20%! Tip: If you don’t know what colors you want yet, just buy white and then take them back to be tinted later. The sale runs today through 8/19. See more local coupons to use this weekend.